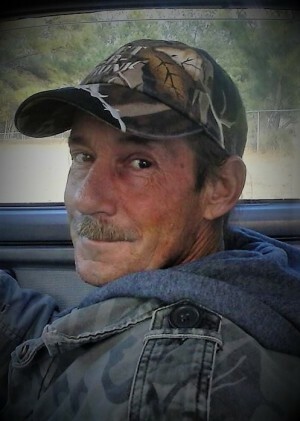 Mr. Kenneth Waldroup “Pete”, age 57, of Valley, Alabama passed away on Sunday, December 2nd, 2018 at his residence. Mr. Waldroup was born in West Point, Georgia on January 20th, 1961 to the late Thomas Waldroup and Odessa Givins Waldroup. He was also preceded in death by his sister, Carolyn Jennings. He was a member of the Bethel United Methodist Church in West Point, Georgia. Mr. Waldroup was born and raised in the Gray Hill Community of West Point, Georgia. He owned and operated Waldroup’s Body Shop in Gray Hill. He enjoyed restoring old cars and was an avid University of Alabama football fan. He is survived by his wife, Irene Waldroup; children, Amber Waldroup, Alisa Waldroup, Aaron Hester, Joshua Hester, Katelyn Hester, and Christina Newman; 12 grandchildren. Funeral services will be held on Wednesday, December 5th, 2018 at 11:00A.M. EST at the Davidson Baptist Church in West Point, Georgia. The Reverend Howard Longshore will officiate the services. Interment will follow in the Bethel United Methodist Church cemetery in West Point, GA. The family will be receiving friends at the church Wednesday from 10:00A.M. EST until the service hour. Please visit his Memorial Tribute page at www.johnsonbrownservicefh.com to leave a condolence for his family, share a memory of Mr. Waldroup, or to light a Remembrance Candle in his memory.